Red Trident provides services for businesses requiring implementation of industrial network architecture through a fault tolerant approach with dedicated channels, trusted zones, redundant links and much more. Today’s marketplace is very different from the previous generation and it is constantly evolving. There is a heavy reliance upon the ability of people to communicate via computers to programmable logic controllers. Plus the need to have reliable and secure connections to things such as medical devices is at an all-time high. 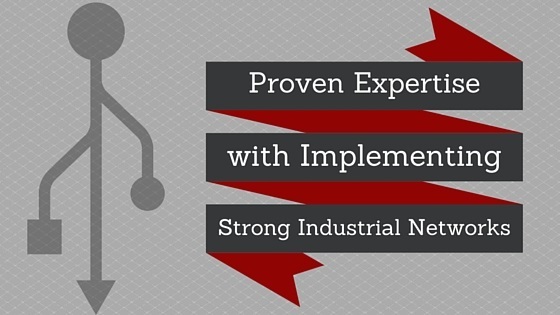 Red Trident has a great deal of knowledge and proven experience with implementing a strong industrial network. Some of our clients include government and medical entities where they must have a strong and reliable network system. We’ve taken over many projects and corrected issues that other service providers had left behind. When it comes to businesses with critical systems that need to be reliable and secure, you can count on Red Trident Inc.
Another aspect that makes Red Trident Inc stand out from the rest is our commitment to ensuring an enhanced return to service to where monetary impact is low and / or safety is not degraded. "The assessment that they ran on our company exposed a lot of vulnerabilities that we weren't aware of. Not only did they discover those, but they were able to take care of it. Red Trident provided us the peace of mind knowing that our infrastructure is secure. " "We've been a client of Red Trident for over a year now and we've been very happy. They're extremely knowledgeable and professional and I would highly recommend them to anyone who needs to ensure their OT environment is secure"